Ah, Mankoushe. This Lebanese woodfire bakery opened a few months back in Lygon St, replacing an African grocer. The hole-in-the-wall setup had few discerning features; if anything, it looked more like a comic-book shop than a takeaway joint, with its red-on-black painted sign. For darn good reason. 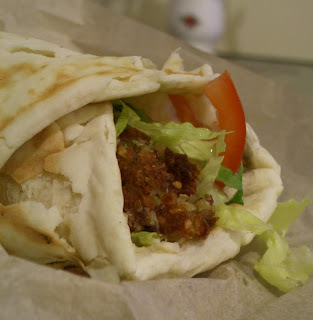 Simply stated, this place makes awesome felafel. And it's fresh, every bit of it. When you order, one of the two eager lads who run the place disappears out the back to fry the chickpea balls. The other one puts a round of bread into the woodfire oven. While you wait, you can check out other delights as they come out of the oven - pliant circles of zatar bread (crazy big for $1.50), all manner of filled pockets with cheese, sucuk and spices. On the roll, you've got your felafel balls, wonderfully crisped on the outside, tomato, lettuce, garlic sauce and pickles. Oh yes, the pickle - just enough for a bit of crunch and sour, not enough to take over all the garlicky, spiced goodness. It's $7.50. It takes ten minutes to prepare. It's fantastic. It's a delicate device, choosing to have characters within a novel tell their own stories. At its most overt, the author presents their protagonist as a writer, which can lead to all sorts of wheels-within-wheels scenarios, as you wonder where the author ends and the character begins. 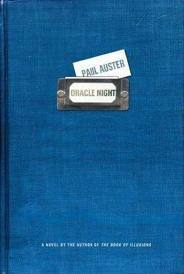 Paul Auster runs visually and virtually parallel stories through Oracle Night. His principal character, Sidney Orr, is a writer, and he talks frequently about his own authoring experience and that of his colleagues. 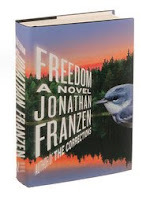 The novel follows Sidney for a period of nine days or so in the eighties, after he purchases a Portuguese notebook from a small Brooklyn stationer, and begins to write for the first time after a long illness. Sidney gets the idea of a story to write from a snippet in The Maltese Falcon. He takes inspiration from that story to write a tale about a man who walks out on his life after a lucky escape from an accident. Early in the book, large chunks of this 'second-level' story are reproduced. At the first level, Auster presents us with a protagonist who is a writer, creating a story. Within that story, the protagonist is an editor, who is reading a manuscript. And yes, within the second-level story we have a third-level story, as his protagonist reads through and summarises the manuscript (called Oracle Night, as is the novel). Adding to all of this, when Auster is in his first-level story, he uses footnotes to provide background information. The footnotes are written in the voice of the protagonist, not of the author, adding a layer of complexity and separation from the reader - one starts to question exactly what they're reading. They're not brief, either. Most go across multiple pages, so you have to turn the page(s) to finish reading the footnote, before turning back to where you were in the story. People can't die in their dreams, you know...That's how it works. As long as you're dreaming, there's always a way out. Auster's style superficially is very reminiscent of Philip Roth. Both write of men embedded in New York and display an intimate familiarity with the city. Roth too uses writers as protagonists, as in The Ghost Writer (not to be confused with the recent film based on a Robert Harris novel of the same name) and Exit Ghost, and presents stories within stories. Because of that similarity, I felt I was reading a much older book. I was surprised when I realised it was published in 2003 - strange how you can make assumptions about the age of a piece, and how those assumptions affect your reactions to it. 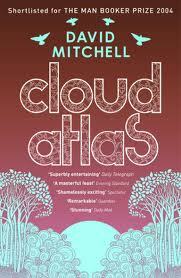 Published the year after Oracle Night was David Mitchell's Cloud Atlas. Mitchell also takes an unusual approach to storytelling, relating six different narratives, in six extremely different styles, starting in a Pacific colony in the 1800s and progressing to 'beyond the future'; that is, the penultimate narrative is futuristic, and the last is the future of that future. Speaking of totems, too, tiny details travel with the characters throughout time and narrative. Each narrative stops abruptly, making the transition to a new voice and time even rougher on the reader. The strongest testament to Mitchell's writing prowess is how quickly the reader feels comfortable with each new style. Now, I recognise that producing a novel with various narrative voices doesn't sound unusual on the surface of it. But Mitchell does something very special (this isn't a plot spoiler, but my enjoyment of the book was enhanced by the surprise of not knowing how it worked overall, so feel free to skip the rest of the post). At the book's mid-point, the 'future future' narrative ends, and segues back to the penultimate narrative. The book then progresses backwards through time, completing each story. It's a genius technique, like returning to half a dozen unfinished books in a row, reminding yourself of missed characters and reaching the catharsis of resolution multiple times. Where it fits into this post is that each of the narratives use the protagonist as storyteller, whether it's written as a diary account, as an interview with an archivist, as a lost novel, as letter, or around a futuristic campfire. What Mitchell reminds us of is the universality and timelessness of storytelling. Certainly, its written formats might change, but we will always communicate our stories and there will always be room for words. With an upper limit for house prices in sight, and the gentry moving ever northward, it's only a matter of time before Coburg is the new Fitzroy. 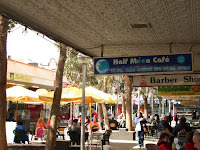 The Victoria St mall is the obvious candidate to fill in for Brunswick St. But what to eat and sup while posing? Felafel, for starters. Half Moon Cafe is drawing punters from afar for its famed felafel - made with fava beans, rather than chickpeas - and accompaniments both traditional and inventive. Their special offers cauliflower and eggplant alongside a smoky babaganoush; other mixes offer fetta and olive; or more traditional tahini and pickle. A couple of shops along, at Cafe Sarabella, carefully prepared Indian food is on offer, with at least half the dishes vegetarian, and many gluten-free and organic. This isn't a run-of-the-mill Indian takeaway, however. 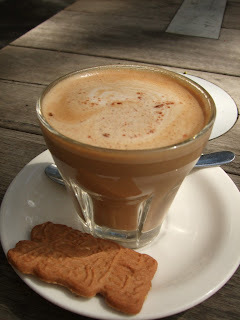 Its decor and cosiness is the match of the shabbiest of chic inner-suburban cafes, and it offers a range of sweets to nibble alongside a specially prepared cup of marsala tea or coffee. The proprietress roasts a mix of six spices, chops them, then grinds to powder, sieves, and grinds again. There's no caffeine in the mix, but she adds the blend to tea or coffee at the customer's whim. If you like your hot drinks a little spicy, she can also add some pepper. Or, if you like to do the mixing yourself after someone else has done the roasting and grinding, her marsala mix is available to buy. Sip, savour, and soak up the new inner north.